This chapter considers the main topic of interest in this book, namely: how to obtain a sampled-data model for a given continuous-time system. 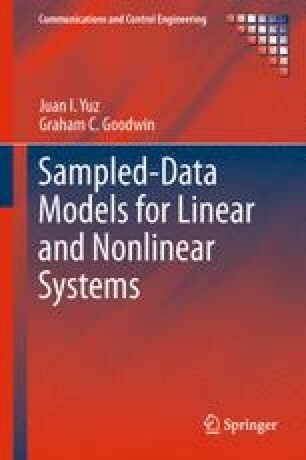 Sampled models for linear systems with deterministic inputs are first considered, for which exact sampled-data model can be obtained. Unless stated explicitly otherwise, it is assumed that the anti-aliasing filter, if present, is included as part of the continuous-time system model.